A team of Emory freshmen advanced to the finals of the Hult Prize, an internationally-recognized competition hosted by former President Bill Clinton that is focusing on the education gap of children 0 to 6 years of age this year, according to the Hult Prize website. College freshmen Mehul Bhagat, who is the team’s leader, Rostam Zafari, Michelle Skelton and Nick Parker will represent Emory University at the San Francisco competition, which is worth a prize of $1 million. Their challenge: building “sustainable and scalable social enterprises” for young children in the urban slum. Taking into account the potential global impact of their project, Bhagat said that he and his team brainstormed and were able to put together a few ideas. As for how the group got involved, all four said they’ve always been interested in social enterprise and entrepreneurship, but it was Bhagat who brought up the Hult Prize competition after discovering it online, according to Zafari. 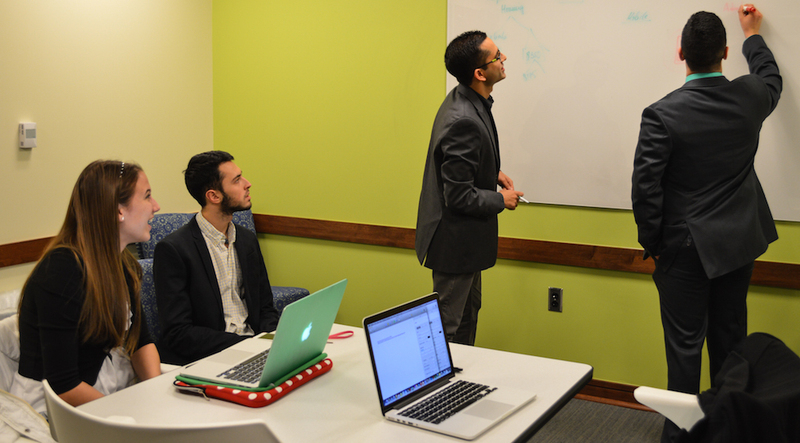 “I’m really fascinated [with] using entrepreneurship to attack social issues, such as infectious diseases or education, so when Bhagat showed this idea, this competition to me, I was like, ‘We need to [put together] Emory’s team!’” Zafari said. Skelton emphasized the necessity of bringing families closer to keep young children on the right educational track. “Bridging the gaps between parents and children is what we feel is the main blockage to why we feel these children do not have access to education.” Skelton said. Bhagat and his team have been working on their pitch for months and presented it to the Hult Prize’s Organizing Committee. 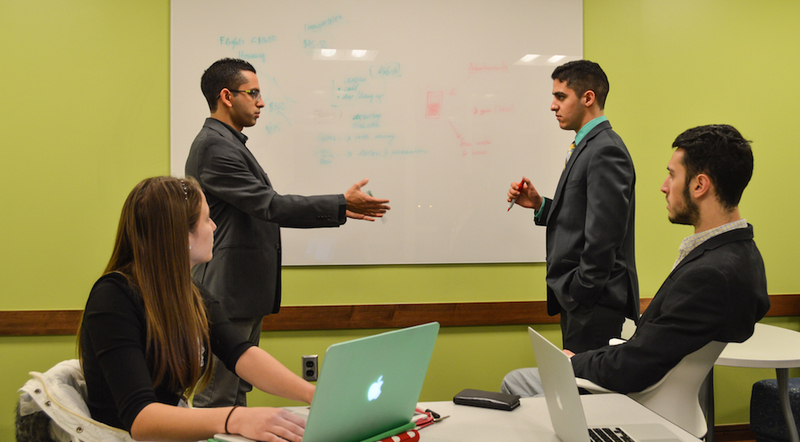 Hult Prize officials notified the team that they had reached the regional level in the first week of January. On Jan. 29, they hit their second deadline. In the next six weeks, they will find out their remaining challenges before traveling to San Francisco. Following through with this competition was not easy, Zafari said, who is on the pre-med track and wants to major in philosophy and creative writing. “Having multiple team members with different schedules, finding time for people in power to listen, reaching out to them and hearing back from them — there was always a give and take” when it came to scheduling the next event, Zafari said. Zafari used his previous experience, while Skelton channeled her ambition as a former Girl Scout to help prepare for their next round, the two said. Skelton also expressed some anxiety about the team’s odds. Bhagat explained the reasoning and processes behind his motivation. “In order to be sustainable, a corporation following social good should also make a profit,” he said, adding that students, corporations and the government all have an interest in long-term growth of education accessibility. “That kind of idea is really inspiring because we often think of them as purely profitable or we think of governments as only giving out charity, but there’s this room in the middle that people are filling the gap for social entrepreneurship,” Bhagat said. Regardless, the team remain motivated and hopeful for the next level, according to Zafari. “Every year, we have Yale’s, Harvard’s [teams] — actually 20,000 teams — competing this year, and we’re down to the last 253, so we’re really happy to represent Emory,” Zafari said.